If you’re coming down to the wire with a Christmas gift idea, then why not try this? If you know someone likes a magazine, extend their subscription as a gift! When I’ve done this I always try to be creative with the way I present it. 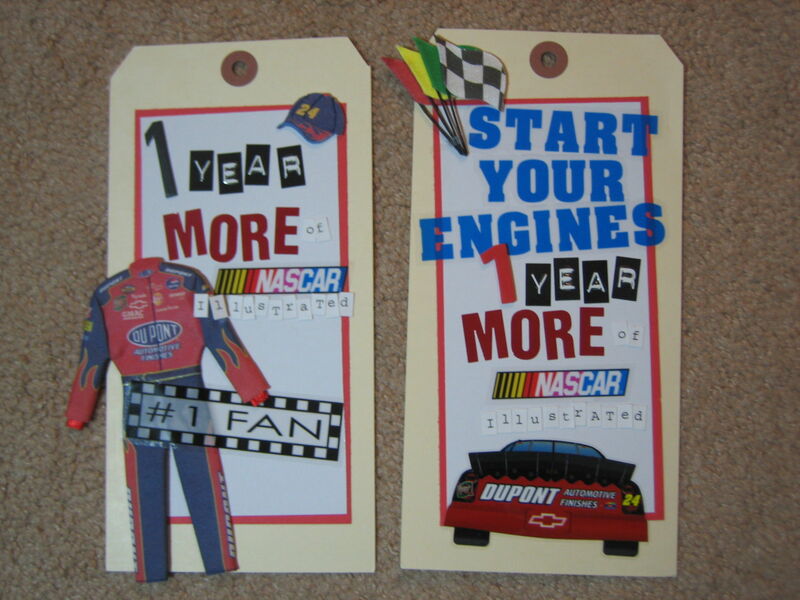 Above is an example of two gift tags I made for friends who wanted an extension of their Nascar Illustrated magazine! I bought them each an issue and tied it on. It just adds a little special touch to explain the gift!